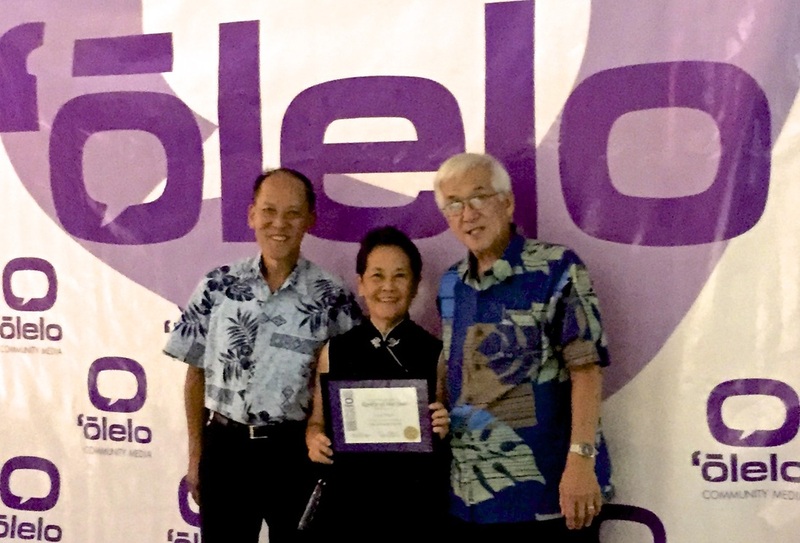 lucy was honored on Nov. 8, 2014, at Olelo 25th Anniversary & Volunteer Awards Banquet. She was chosen as a "Rookie of the Year" based upon over 100 tai chi videos produced and aired on Olelo. Within a period of 8 months lucy moved quickly from a monthly, next to a bi-monthly, then to a weekly series. "Play Tai Chi" is co produced by everydaytaichi Ken and Victor. 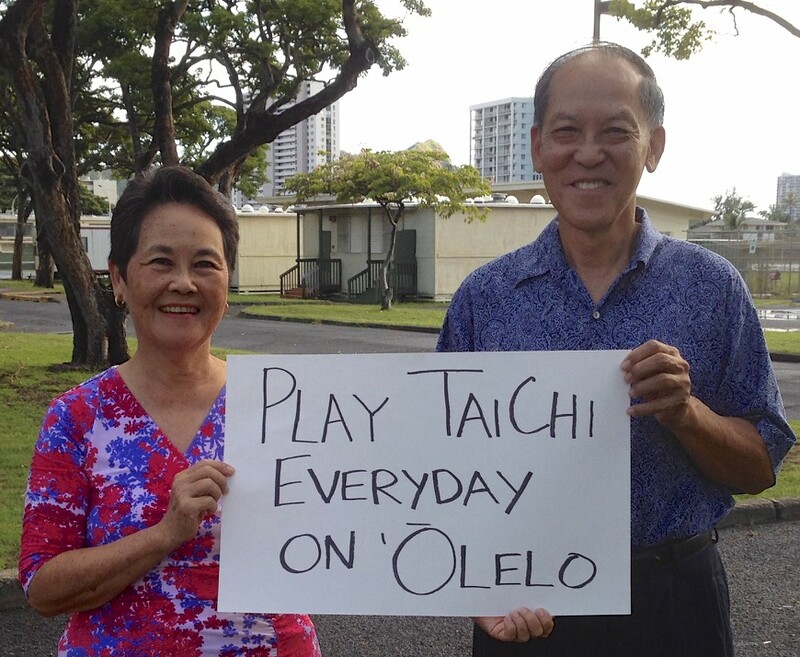 Together, our "EveryDay TaiChi " program series airs weekly on Olelo Channel 54 on Tuesdays 8AM and Thursdays 6:30PM. Our newest project, "Tai Chi Around the World" is also an integral part of our tai chi mission for community comittment. Next year from January 2015 our regular tai chi program will be aired as a one hour weekly series. Olelo 25th anniversary celebration was held at the Hawaii Convention Center with outstanding hula halau and The Touch of Gold. KINE radio station Mele Apana and Dave Lancaster emceed. True to form, Olelo camera crew taped the entire event which will soon be aired on Olelo...stay tuned! !